We highly value your partnership with us in the Lord’s work. There are several options to make a donation. Please, contact us if you have any specific questions about giving. You can support our ministry by donating through Door of Hope International (DOHI), our fiscal sponsor. When you make your gift, please, mention our name, “Kostov ministry,” or the code “S15.” Otherwise, your gift will be distributed to other DOHI projects or general funds. Gifts through DOHI are tax-deductible. Click on the button above and you will be taken to a secure site maintained by Network for Good — a website for online charity giving. 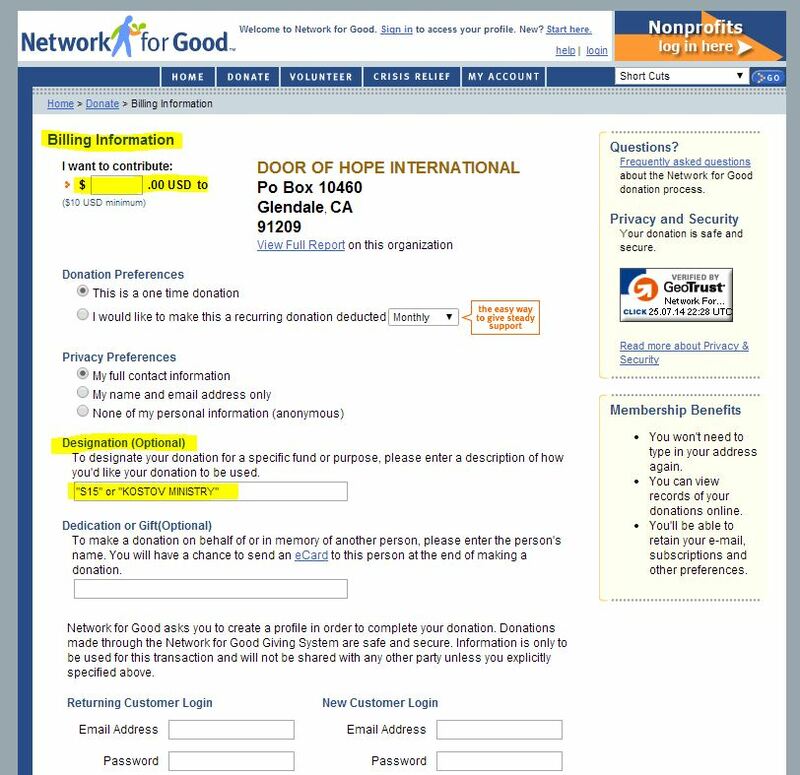 On that page, you will see the online donation form for our fiscal sponsor “Door of Hope International” (DOHI). 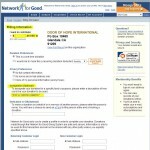 Choose recurring or one-time donation. When you fill out the “Billing Information” on the page fill in our name or the code “S15” in the box “Designation (Optional),” in order to ensure that your gift is properly designated. NOTE: Donations through the following options are most likely not tax-deductible in the U.S. (if you itemize your donations/expenses). These options may also be convenient for international supporters (from outside the U.S.). Make a one-time gift or set up a recurring donation. Privacy issues: We only use well-known and secure payment processors and we do not share your information with anyone.